We are into full fledged manufacturing of a wide range of Twin Lobe Rotary Compressors / Exhausters. 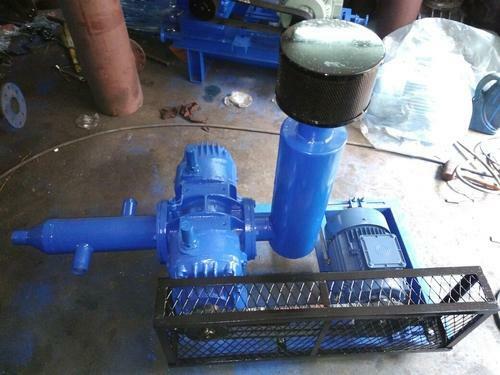 These are also known as Twin Lobe Roots Blower / Vacuum Pump, used in various systems and plants like Sewage Treatment Plants. These are High volume-low pressure positive displacement (PD Type) Roots Blowers. They operate on differential pressure and constant volume characteristics. We manufacture a wide range grouped under air cooled or water cooled design which covers capacities from 10 M/Hr to 14000 M/Hr. We manufacture these machines Twin Lobe Rotary Compressors, positive displacement blowers in our state-of-the-art modern facility equipped with CNC machines, CAD-CAM software and efficient production control system. Established in the year 2008, Air Vac Equipment is engaged in manufacturing of Twin Lobe Air Blower, Roots Blowers, Twin Lobe Compressor, Fly Ash Feeding System, Cement Feeding System etc.